Mrs. SmallIvy is truly wonderful and supportive when it comes to handling money. One area where that really shows is in car purchases. Early on in our marriage we made the stupid decision to buy a new Jeep Cherokee with payments for 72 months (they saw me coming) while I was still finishing grad school. While I still drive that Jeep 18 years later, shortly after starting my first job I saw the light (and heard Dave Ramsey Show). We decided to pay that car off as quickly as possible (I think we were done in about three years) and from then on we decided to only buy used cars that we could buy for cash. The first one, which my wife drove for about five years (did I mention that she is wonderful), was an eight-year old Toyota Camry which we bought with about 175,000 miles on it. We paid about $3500. It was a very reliable, comfortable car. When we sold it, it was crossing 300,000 miles, yet we still got about $1500 for it. It actually still had some life in it, and I wouldn’t be surprised if it was still on the road for another 100,000 miles or more after we sold it. So we were able to drive a comfortable, reliable car, for about $400 per year in depreciation plus maybe $500-$800 per year in repairs and maintenance. Compare that with a car payment of $350 per month or depreciation of about $3,000 per year if we had bought a new Camry and driven it for those five years. This gave us a couple of thousand dollars extra each year. We put part of it away for retirement, and some of it away for the next new/used car. For the next car, we also got a Camry. (We decided we really like the way they drove and the extreme reliability). This time we got a four-year old car with 76,000 miles on it for about $8,000 cash. Because we had been saving that whole time (remember we were saving about $10,000 over that five years by not having car payments/new car depreciation), we had the cash ready. Actually, we had been investing the money, so some of the cash that we had put away made more money, so we didn’t actually need to save up the whole $8,000. It was kind of a neat/scary experience to withdraw $8,000 in $100 bills since the seller (a private party) wanted cash. Interesting when you wonder if the credit union will even have that much cash on hand. We’ve driven that car for about eight years. The car has about 250,000 miles on it and a value of about $2200, so it has cost us about $6,000 in depreciation ($750 per month) and maybe $500-$800 in repairs and maintenance per year, so we’ve saved something like $12,000 over that period of time by avoiding new cars. Some of that money went into college funds for our children. This time we’ll probably keep the car a few more years since we have a teenager who just got his license today. We are also finding that it might be nice to have an extra car around for when one is in the shop for maintenance or repairs (although it may be cheaper to just rent a car for the rare time when we really need one and a car is in the shop, but we’re getting to the point where we can afford the luxury of having an extra car around). We first thought about trading up in style to an Avalon. 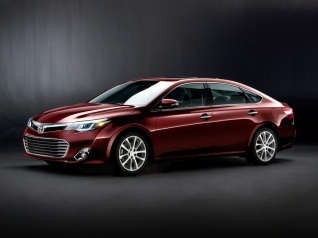 Looking at local dealers, it looks like we could get a 2013 or 2014 Avalon for around our budget. My wife has said that she may want a newer car than that, however (and she has been wonderful), so we may go for a 2015 or 2016 Camry for about $17,000. Note that new Camry’s are around $24,000, so we are saving about $7,000 just by letting someone else drive the car for a year. Many of the Avalons only have about 30,000 miles on them, and many of the Camrys only have 15,000 or less, so they are really very close to new, yet they would cost about $1,000 less per year in depreciation for the first few years. Note that if we bought new, in a year we’d be in the same position but have $7,000 less in our pockets. If we drive this next car for eight years, we’ll lose around $15,000 in depreciation (a little under $2,000 per year), versus about $22,000 if we bought new, or about $3,000 per year. If we bought new and traded in every four years, we’d be paying about $3750 per year in depreciation. Even just buying a year-old car helps significantly reduce the price we’re paying. If you’re thinking about doing the same thing, a good rule-of-thumb in figuring out depreciation is to assume that the car will lose about half of its value every four years. A $20,000 car will be worth $10,000 in four years, so you’ll be spending about $25,000 per year in depreciation. If you buy it with payments, figure you’ll lose another coupe thousands in interest as well, even with the 4% car loan rates we have today. Great topic SI. How much is a used Lexus in the US? I’ve heard nothing but high praise for their reliability (owned and manufactured by Toyota), and they’re quite a luxury car. I bought a used Alfa Romeo 159 for $13,000AUD (~$10k USD) with 75,000km (46,000 miles). I pay for a high quality engine oil (buying direct from the importer) and get it serviced for no more than the service price of my brothers VW Golf but have no problems after a further 25,000km. It’s my first luxury car and at that price I hope not my last. I owned a Mazda6 prior to that bought on finance. I found a 2015 Lexus IS 350 for $30,000 (43,000 miles) and a 2014 for $25,000 (31,000 miles). Given that they drop off that steeply, I’d probably be looking for a 2012 or older if I were looking. Looks like an 8-10 year old one is in the $10,000-$14,000 range, so that would be fairly inexpensive luxury assuming repairs don’t cost too much. That’s quite neat. Individual cars may vary of course but generally they’re very reliable. My Alfa is 10 years old. Hope you find something you and your wife see fits your taste, good luck!